Ambition can be inspiring. The force that drives us onward to success. Sometimes ambition is foolish -- case in point: Kira. 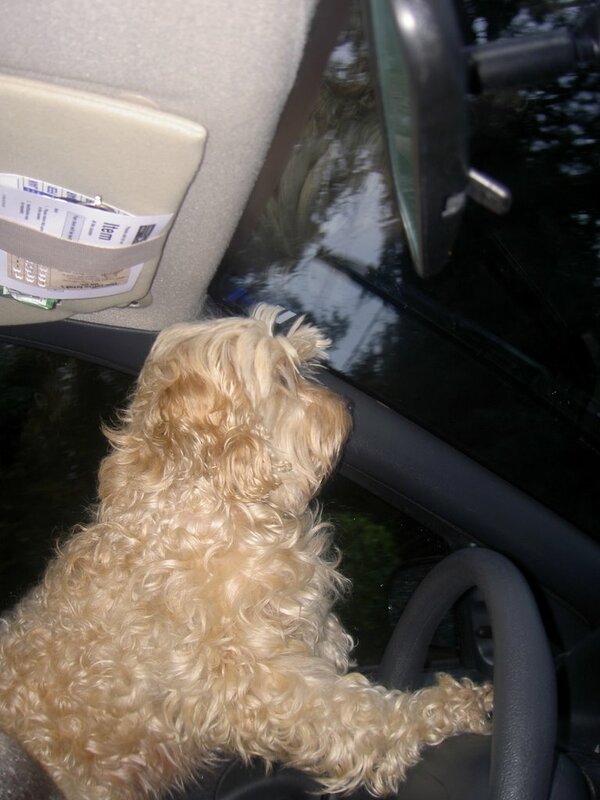 Ambition certainly leads us outside our norm, pushes us out of our comfort zones. Which brings me to my newest project Eunny Jang's Anemoi Mittens. They are so beautiful, so elegant and so full of new techniques that this is quite a challenging undertaking for me. I am so eager to get knitting these! I know this can be a busy and costly season for people out there but (if you haven't already visited the Yarn Harlot's site) I wanted to let you know about her Knitters Without Borders challenge. Please go check it out. A little can go a very long way! While you are in the giving mood pop on over to Knit, Perchance to Dream and see if you can help another knitter cover her soaring medical costs. 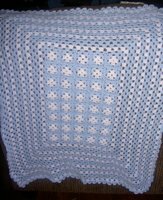 Here is a pic of a blanket my Mom crocheted for new baby boy Rhett. Thank you for sharing the links to these pages - I'm in dire need of doing something good, and I think these are the perfect ways to do so! How amazing Eunny's mittens are! Like you, I fell in love with them instantly - will have to get that pattern too, soonest possible! I'm quite curious already to read your impressions of the pattern and seeing the first pics of them! I'm so sorry to hear that you've been sick - all the very best to you! 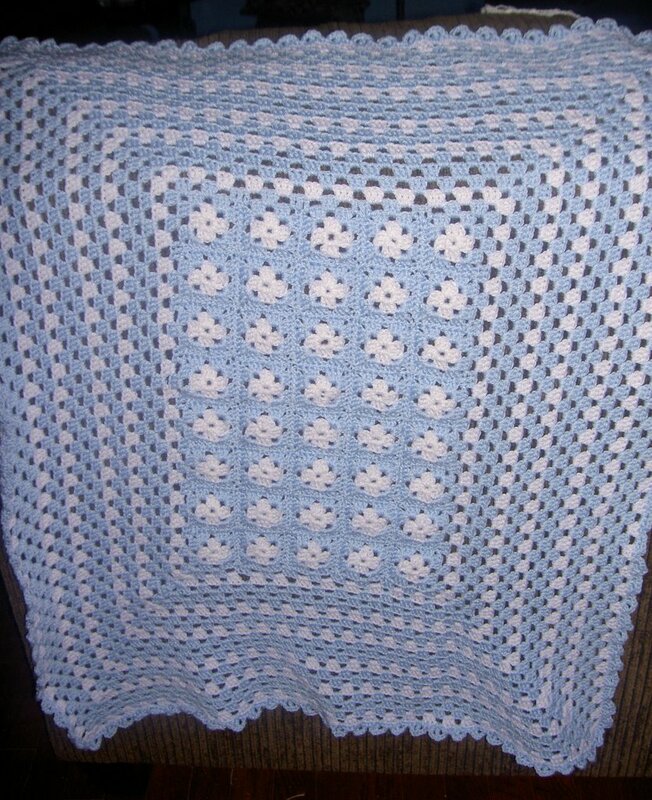 By the way, I absolutely adore the blanket your Mom made! Gorgeous!